A race i see. Such a challenge from a simple sailboat when this is a mighty ferry. 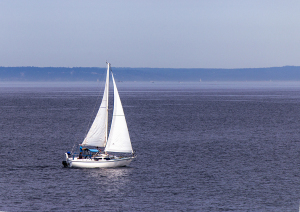 Your sails are full, so lets race to the dock and see who is mightier.